Myanmar’s booming construction industry is spurring rapid growth in the paints and coatings sector, as a steadily increasing number of foreign firms attempt to stake out a share in a market that was until relatively recently, decidedly lackluster. Myanmar’s construction industry is currently valued at US$3bn and is forecasted to grow to US$4.2 billion by 2016, according to a February 2014 report by the financial advisory firm New Crossroads Asia. According to Paris-based global market research firm IPSOS, 49 percent of construction projects in 2013 were residential. The domestic market is currently worth US$1.5 billion, according to New Crossroads Asia. Next comes infrastructure, which comprises 28 percent of all projects, while industrial construction makes up 14 percent, commercial 6 percent, and “other” 3 percent. 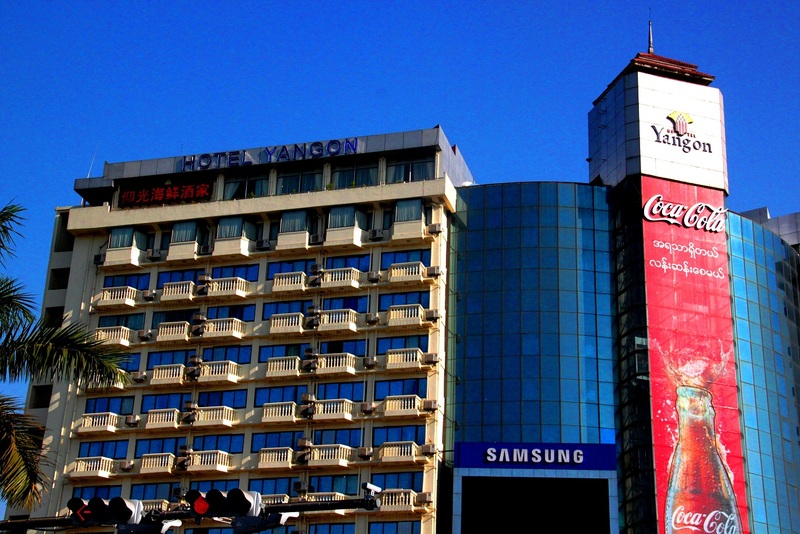 While many investors remain hesitant to invest until the 2015 general election has passed, analysts predict stronger growth in the long-term: “Growth will average 10.8 percent per annum between 2016 and 2023, making [Myanmar] one of the fastest growing construction markets in Asia,” according to London based research firm Business Monitor International (BMI). However unlike many of its ASEAN neighbours, a paints and coatings industry association is yet to exist in Myanmar. The closest equivalent is the Chemical Industry Group (CIG), which falls under the Myanmar Industries Association. “Having a specific body set up would definitely help develop Myanmar’s paint and coatings sector,” said Kansai Paint’s Managing Director Aung Nyunt Thaung. He said that whilst the Myanmar Investment Commission now requires the submission of environmental impact assessments, there remains no ban on paints and coatings which are harmful to the environment or human health. “Some of the smaller companies lack knowledge about the contents of raw materials and potential risks,” Aung Nyunt Thaung said. Aung Kyaw Myint, Business Coordinator at United Paint Group Co., Ltd (UPG) told Asia Pacific Coatings Journal that UPG has a staggering 85 percent market share in Myanmar. Kansai’s Managing Director is well aware of UPG’s dominance in local market share, but suggests that the data may be a little overblown. “We accept that UPG is the market leader, but I think its market share is lower; perhaps around 65 or 70 percent. After all, there are so many competitors, including many local ones. Businesspeople in Myanmar don’t seem to see the need for robust data – ‘statistics’ are often based on rough calculations,” said Aung Nyunt Thaung. UPG was established in 1995 and is wholly Myanmar owned. It imports raw materials from Germany and locally manufactures decorative paints, wood coatings, automotive primers, thinners and tinting systems. It has several seals of approval from regulatory bodies (including the International Standards Organisation) for environmental management and occupational health and safety. As well as having a vast distribution network across Myanmar, UPG also exports “significant quantities” to India, Bangladesh, Cambodia, Laos, Malaysia and Thailand, with Cambodia and Laos being its top two buyers. Exports are also sent to Europe. Whatever its actual market share, UPG’s dominance is impressive, as it’s competing alongside several international juggernauts – Dulux, Norway’s Jotun (which is in the process of setting up a USD$20 million manufacturing plant), Japan’s Nippon and Kansai and TOA Paint Thailand. Other companies are reportedly on their way. Dutch multinational AkzoNobel is the world’s leading decorative paints and coatings company and markets its products under various brands, such as Dulux, the world’s largest paint manufacturer. “With the opening up of Myanmar’s economy in recent years and the expected construction boom that comes with this liberalisation, this is an opportune time… to partner with reputable distributors, provide expertise [and] high quality paints and coating solutions,” said Jeremy Rowe, Managing Director of AkzoNobel Decorative Paints, South East and South Asia. He said Dulux has “established firm working relationships with painters, contractors and paint retailers and distributors” in Myanmar. However according to Myint Sein, who has more than 25 years of experience as a decorative painter in Yangon, customers are unlikely to opt for an international brand when a local alternative of the same quality costs about half the price. Meanwhile, Rising Sun and Home Tex trail far behind UPG in the local quality stakes and are on average just $3 cheaper than UPG’s equivalent products, Myint Sein said. Myanmar was completely devoid of quality paints and coatings up until the last decade or so, when UPG, Nippon (Japan) and Kansai (Japan) made their debut, Myint Sein said. While pale pea green remained in vogue as a residential interior colour scheme for several years in Yangon, Myint Sein said lately it’s been overtaken by flesh tones, soft lilacs and muted shades of evening primrose, while soft yellows and earthy browns are popular for exteriors. 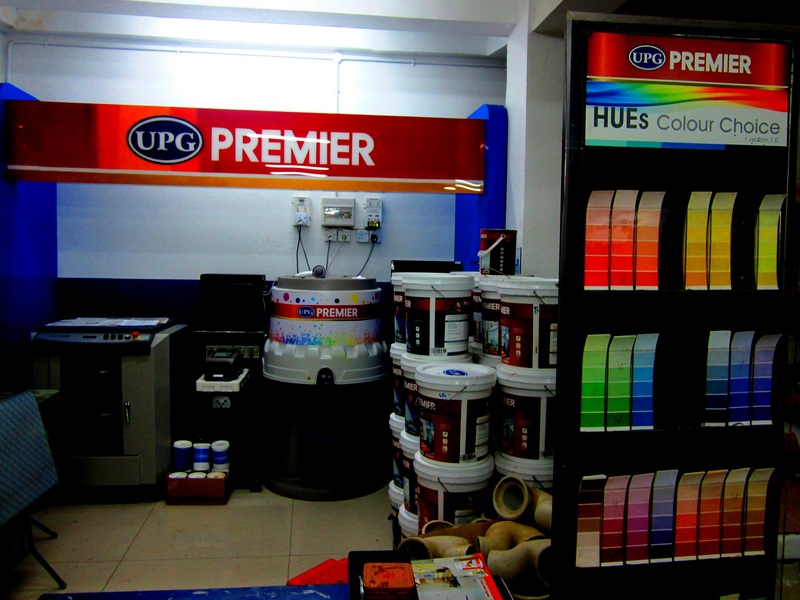 UPG’s Premier range boasts a colour palette of almost 10,000 different options. For modern day Myanmar consumers, the abundance of choice stands in stark contrast to what was on offer to previous generations. When dictator General Ne Win came to power in 1962, the only paints available were manufactured by the military and strictly limited to five colours: white, grey, blue, yellow and pink. This situation lasted until he resigned as party chairman in 1988, 26 years later. Nice to read your detailed blog on paint industry in Myanmar . We are looking to expand our business in Myanmar . We are Walplast Products Pvt Ltd . India . Manufacturing white cement based value added products . Hello Jess! What are your thoughts on the garments and textile industry in Burma?